KFiSH was born in Southern Florida, and because his father was in the Navy, the family often moved from place to place. His father retired to San Diego when Kelcey was young—and Kelcey has called Southern California home ever since. He has lived in the L.A. area for the last eight years, including seven years in Venice Beach. As an artist, KFiSH made his first real impact in the mid-2000s, splashing his iconic portraits and colorful, frenetic pattern work—described as “controlled chaos”—throughout his community. His work is informed by the energetic colors of beach culture and the underlying depth and turbulence of the sea. 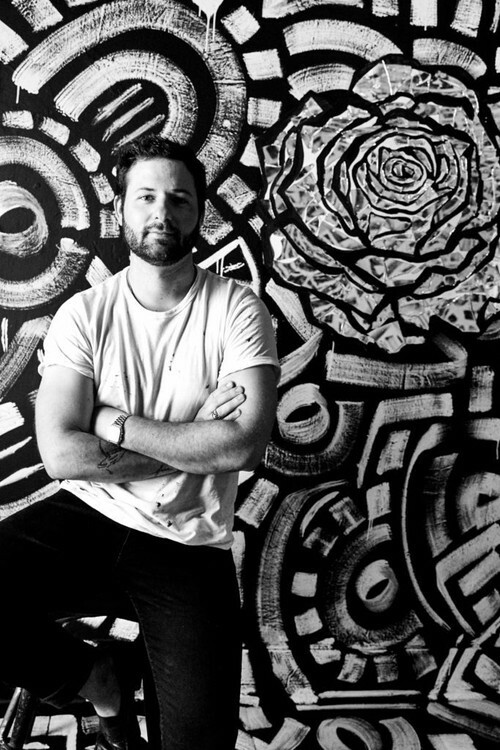 In 2017, KFiSH was named the first artist-in-residence at OLiVE DTLA. His work has appeared in cultural hotspots throughout Los Angeles and around the world.